I like the idea of this shampoo. 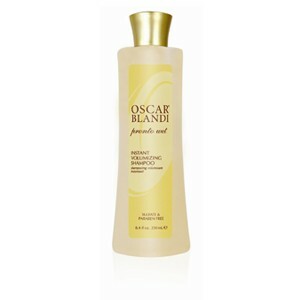 It's formulated specifically for girls who don't wash their hair every day, and it creates instant volume. It sounded perfect for me! My hair felt thicker right after using it...while I was still in the shower! The only problem was, something about this shampoo created so many tangles in my hair. The conditioner helped a bit, but I decided it just wasn't worth it to deal with the tangles and knots that resulted after shampooing. I did like this though, and probably would have fallen in love with it, if it weren't for the tangles. 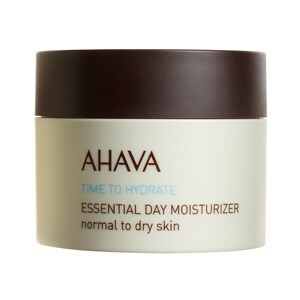 I love this moisturizer and it just might replace my Neutrogena that I've been using for years! It quickly absorbs into your skin, so it never looks oily or shiny, and doesn't leave a lotion-y feeling on the surface of your skin, like many moisturizers can. That also makes it perfect for wearing under foundation, which I always do (unless I'm using my tinted moisturizer). It's light in consistency but that doesn't take anything away from it's ability to hydrate. I also love that it contains aloe vera and a blend of Dead Sea minerals. Both are so great for your skin! The full size is $38.50, and I think well worth it! On to the April Birchbox! I'm actually most excited about the Dropps laundry detergent! My sister-in-law and I were just talking about how we saw a similar product and wanted to try it out. Did you get the April Birchbox? What do you think of it so far?! Hi Rachel! I got my April birchbox too, but had different stuff. My favorite thing I got were these towelettes. I have really sensitive skin and this got all my makeup off and left it feeling really clean. Hey Lynn! Nice, thanks for sharing! :) I just started becoming familiar with the "Yes to" products. I bought Audrey a "Yes to carrots" diaper cream, and so far I really like it! Did you get the email about how some of the Befine mosturizer were expired? My box included the expired moisturizer, I was sad. I was really looking forward to trying it out. But they are giving me 100 reward points in return. So far I've only tryed out the Color Club Neon Nail Polish in Age of Aquarius. I love it...it's a bright turquoise. Hi Christina! I did get that email! Mine was expired too. I had already used it once, but I didn't really like it anyway. It smelled like sunscreen to me...which is not something I find pleasant! Oh! I think you must have gotten a slightly different box than me! I didn't get any polish, but it sounds really cute!